Few days ago I met up with some investors, they asked me to help the check out their stocks. 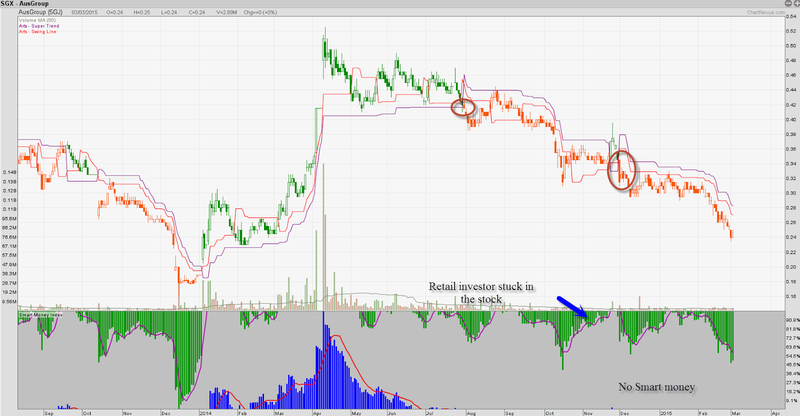 Some of the stocks is in terrible condition, usually the common question is "Should he/she buy more at current price? "or "Should he/she Sell now?" When your stocks is down 50% it is really not easy to answer the 2 question above, however, lets think about why you think the price up if you continue holding? If you cant find any reason for it to go up, then you should not be holding on to a losing counter. 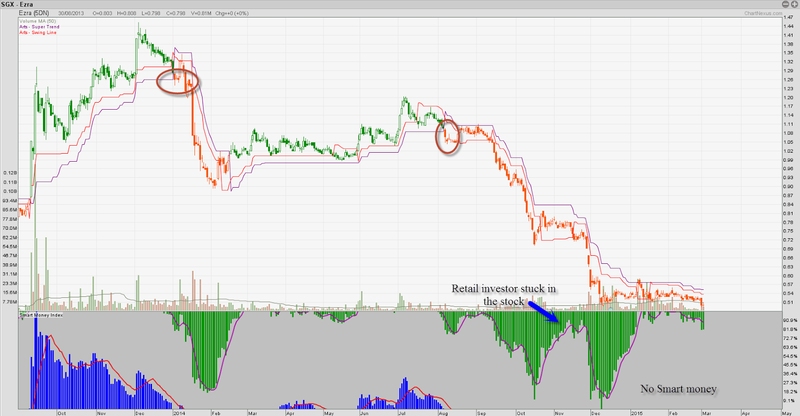 I always tell my client, a big loss always start from a small loss, cut loss when it is still small. Never follow other people/GURU/INSIDER/FRIENDS/REMISIER to get in a trade. 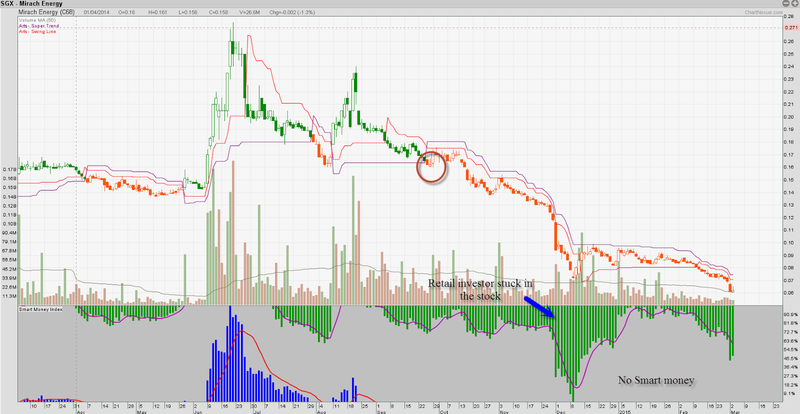 Never trade just for 1-2bid, it doesnt work here in Singapore unless you are getting super low commission. Many people thought it is easy to make 1-2bid, so they buy ALOT of shares, the price up a bit, they can run away with small profits, however many times they cannot react fast enough to the opposite direction and get caught with Big losses. Never Average down a Loser, buy stocks like you are investing in a business, Dont put in more capital on the business that is losing money! Invest more on the business that is making you the money! Ezra changed trend since August 2014, never show green candle since then, our Smart money index show no more Smart money in the stocks. Mostly retail money stuck in the stocks. Ausgroup change trend Since Aug 2014, our Smart money index show no more Smart money in the stocks. Mostly retail money stuck in the stocks. Mirach Change trend since September 2014, our Smart money index show no more Smart money in the stocks. Mostly retail money stuck in the stocks.